Extrakun is bbbaaaacckkk! Here is a treat this week for all you Heartless City lovers out there… An extra review this week! You’re welcome. You like the featured image? I wish it wasn’t censored… the tattoo looks really cool! Episode 3 has a lot of different things going on; one of the reason I enjoy this show so much is because I can get more in the less than an hour episode than in two episodes of a show that goes over the 60 min mark! Now that the majority of the groundwork is laid, we are able to get into the nitty gritty of characters, plots, and agendas. Shall we? As per usual in a Korean drama you have the corrupt cop who is holding hands with the mob to lace their pockets with funds and power (disgusting characters that make you want to curse). Thinker cop figures someone is trying to play the police… He really is a smart cookie. Too bad I am on team Doctor and the kids. Sometimes you just gotta pick a side and stick with it. Even if they all go down in flames, I am going to ride this out until the very end with them. Gyung Mi has decided to go undercover because of the bogus information given by Safari Moon. I knew she was going to screw things up. We finally meet our (well not the first time we have seen her but now it’s important) leading lady aka femme fatale Yoon Soo Min played by Nam Gyu Ri (49 Days, Haeundae Lovers). Her acting in general is weak, but at times you can let it go. With heavy hitters like Kyung Ho Oppa and Jae Yoon Oppa, we shouldn’t expect too much from her. She is the younger sister of detective Gyung Mi and will be seen much more as the show progresses. Safari Moon is still in the midst of trying to trap and Kill Doctor’s Son. He is using the relationship (and stupidity) of Emo to plan a fake drug deal. Emo once again is trying to be the brains of the group when she can’t even put 2 and 2 together. She makes watching the show frustrating because you just want to pine over Doctor and Soo; but you find yourself cussing her out for being on their team! No fear (not that I care if she dies), Doctor’s Son already knows what Safari Moon and his trickers are up to…. 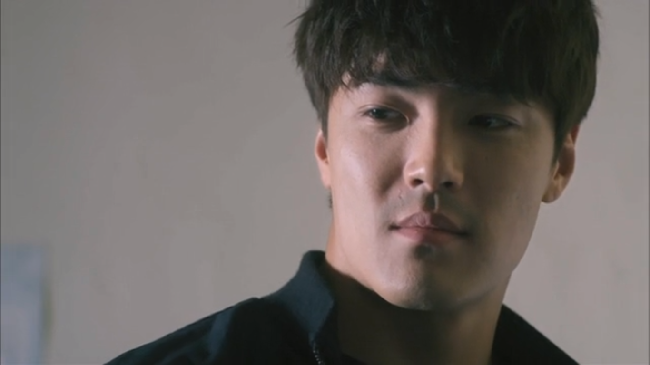 Thinker cop (don’t forget his name is Hyung Min) and his unit stage an undercover plan to sniff out Doctor’s Son under the orders of corrupt as heck deputy commissioner of police (the guy in Pusan’s pocket… Well one of them). Unlike Jack Johnson smelling sets and candlelit…. I smell DANGER! And she (Gyung Mi) gets caught by the enemy… Not Doctor and his kids, the real dangerous crew—Safari Moon and his compadres! To make matters worse, I predict this heifer is pregnant with thinker cop’s kid…. As we get to the hotel where the deal is supposed to go down, Safari Moon sends a text to thinker cop (as if he was Gyung Mi) and Emo is about to get raped by the nobody thug who is making the “deal”. The cops show up but Doctor is outside the building. Safari Moon’s plans are soiled and Emo is on her way to jail for possession of narcotics and attempted murder (out of all the things I hate about this heifer, I have to admit I was glad she could kick some asparagus when need be). Doctor and Soo are back with a vengeance! They go to the wench who stabbed Doctor hospital room to get information about where Safari Moon is hiding. I love that Soo is the muscle… He doesn’t ask too many questions without using his fists. Thinker cop is pissed! 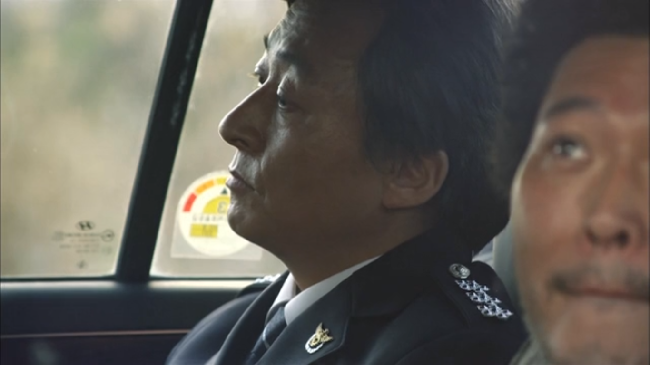 As he questions the whereabouts of his love (Gyung Mi) he shoots and asks questions later (I told you he doesn’t care about criminal’s rights… Love it!). Meth Kim attempts to escape as thinker cop and his unit show up to the scene. Doctor catches Meth Kim and Gyung Mi. 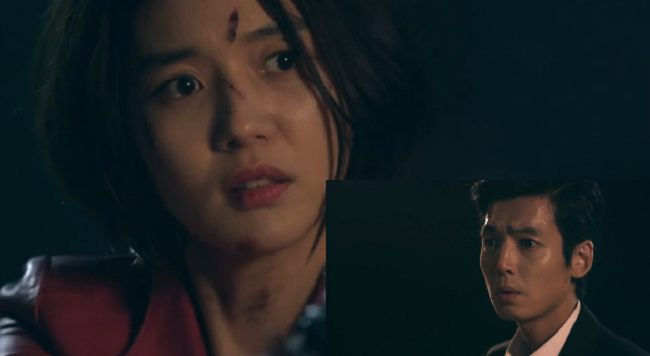 As Doc is about to take care of Meth Kim, Gyung Mi (Lord bless her) stops him in his tracks. The Episode ends with Gyung Mi saying, “Shi Hyun Oppa? What are you doing here?” She knows Doctor! What a wonderful way to end our episode! As promised, Favorite Quote given by Doctor (I promise other people will be soon to come) again is: “You shouldn’t come in from the side like that… Not without permission” Good tip Doc… that’s what growing up in the hood taught me too. Until next time!